The Expobar ‘Plus’ Integral Grinder range consists of a one group and two group version which incorporated a high quality integral coffee grinder, this design concept will suit locations where space is at a premium but quality coffee drinks are still demanded by your customers. Both models are built using the well-known Expobar technology. 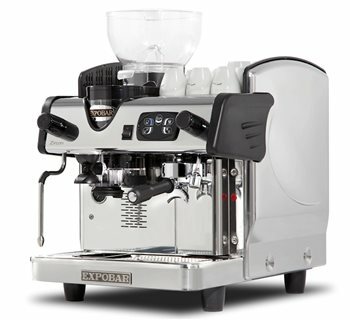 In other words, you are guaranteed machines of the highest quality that makes the barista’s work much easier.